Escalate campaign ROI and market engagement with short videos & animated GIFs. Vid.One gives you the tools to create campaign-specific videos in under a minute - no video snippets or footage required. Choose from thousands of templates, with licensed music. Layout copy, logo and photos for each segment, then preview and adjust your video in seconds. 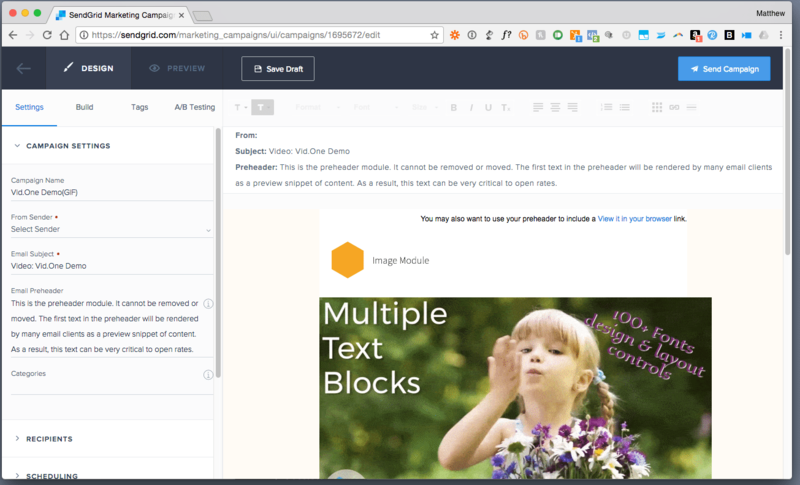 Our integration with SendGrid delivers 2 templates (GIF and still) instantly, pre-linked to video landing page. Video hosting (included) ensures that the video will play on any device or connection. 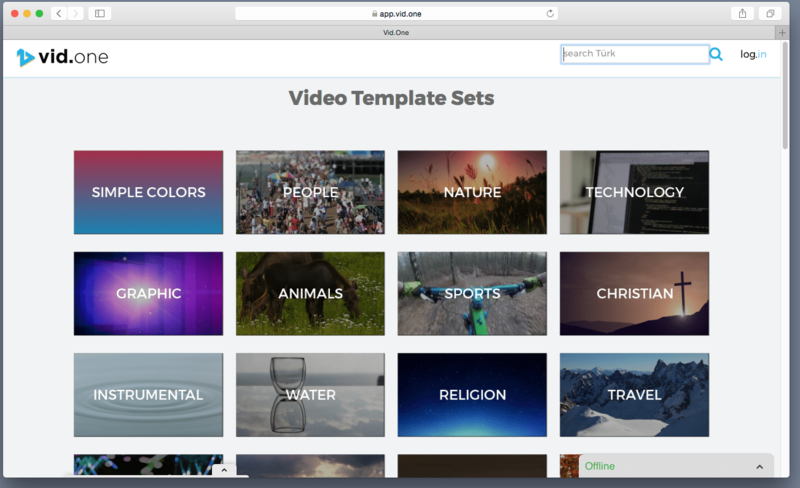 Browse and preview thousands of video templates, from 10-30 seconds, average 15. Each professionally-designed template has a licensed music soundtrack. 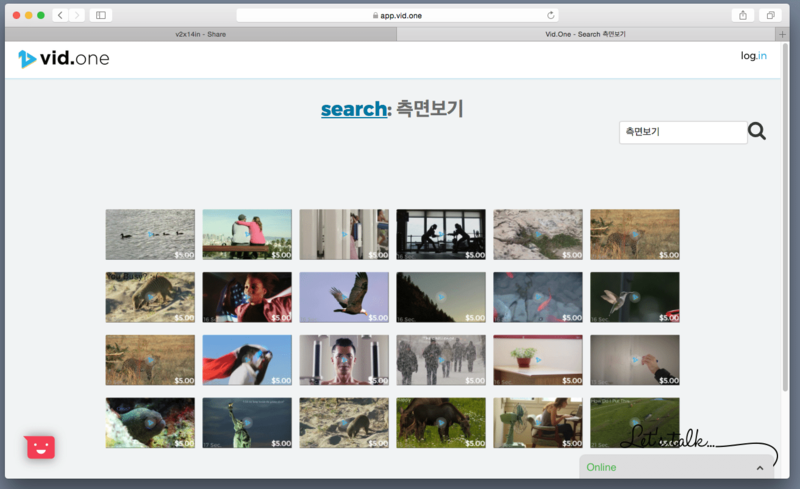 Search templates in 22 languages, including Arabic, Bengali, Chinese, Danish, Dutch, English, French, German, Hindi, Italian, Japanese, Korean, Punjabi, Russian, Spanish, Swedish, Turkish & others. 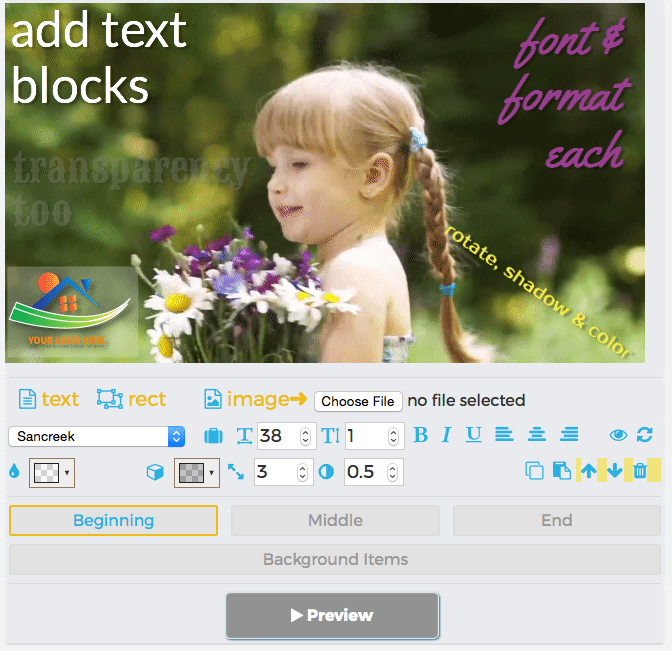 Complete layout control; hundreds of fonts, color, shadow, rotation and more. Add, size and place photos and logos. Previews generated in seconds. SendGrid integration just requires API Key. Editable templates - one with animated GIF teaser, one with still thumbnail - added instantly. Edit templates with SendGrid designer, or copy merge tags for use in marketing or transactional templates. 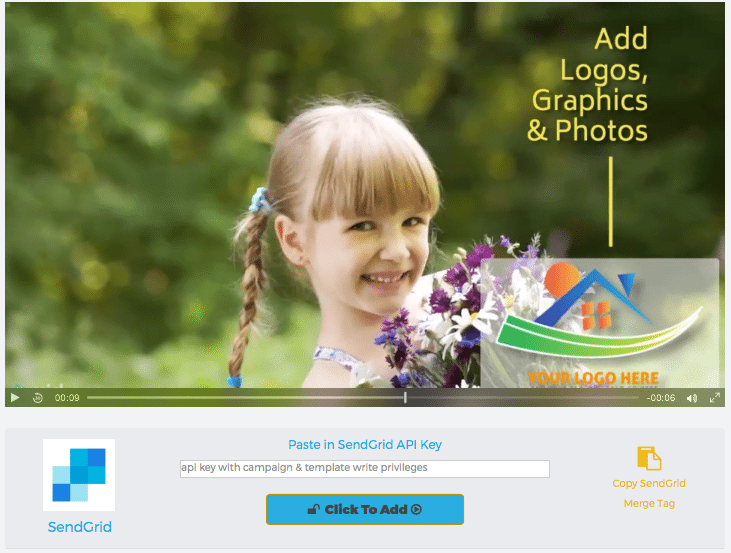 Vid.One SendGrid integration takes the HTML tag-futzing out of email video. Ready to join millions of other marketers using video to grow their brands and engage their customers? Read on.